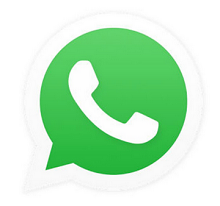 WhatsApp is preparing to introduce a new update which could change the IRL method of date arrangement forever. It’s reportedly working on new software which allows to share your contact details with someone simply by showing them a QR code. Then all you need to do is whip our your code whenever you meet someone attractive, ask them to scan it and your details will be entered into their address book. According to Wabetainfo, When the QR code is detected, WhatsApp will automatically fill all fields and the contact will be added in your address book. When you generate your QR code the first time, WhatsApp gives the possibility to revoke it: this option is very useful because it will mark as expired the old QR code. You can revoke your WHATSAPP QR CODE unlimited times. The Feature will be available for iOS and Android in the near future. Meanwhile, we are still waiting for the game changer, Dark Mode. Is there modded WHATSAPP offering above offers currently? ?